My daughter is quite fond of books. I am sure I have mentioned this before. This is the reason I enrolled her in a library where we get 4 new books to read every week. I need to read at least 2 story books to her before she goes to bed each evening. Now yesterday I asked her to narrate me a story. I ask her quite often, but she is only interested in listening. But yesterday, surprise of all surprises, she obliged me. And thus started her story. Once upon a time (that’s her favourite opening line), there was a big jungle (she loves jungle stories). 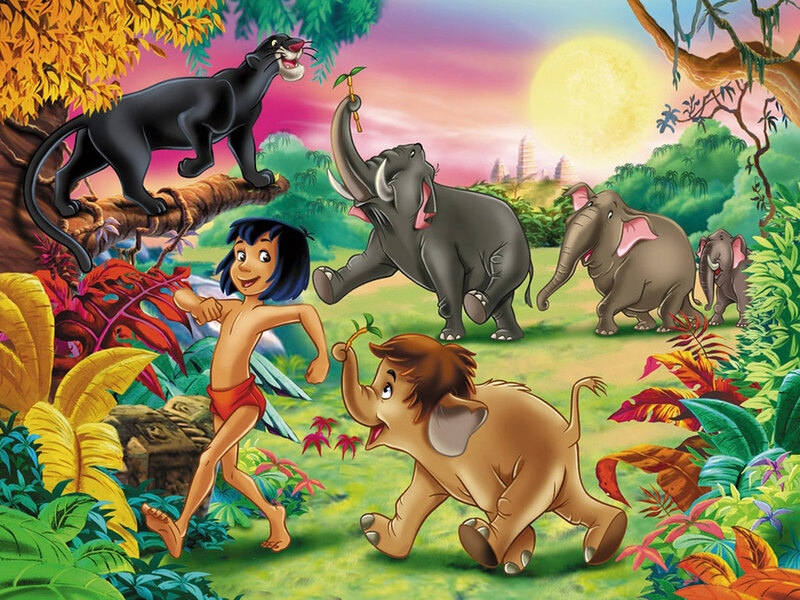 In the jungle, stayed little Mowgli (she has recently heard about the Jungle Book and Mowgli). Then the daddy elephant started eating Mowgli. Mowgli started crying. Then a rabbit passed by. And mama elephant and daddy elephant ran away. Now the story is finished. By the time she finished her story, my stomach was hurting like crazy on account of controlling my laughter. But, in spite of the, ahem, evident technical errors in the stories, I was proud of my little munchkin. That’s a decent enough narrative from a 3-year old, what say? This story of hers made me remember my childhood days. In the language exams, we were asked to write autobiographies. Usually of a pen, shoe, tree or car when we were 7-8 years old. It took the teachers quite some time to convince me and others like me that no one can write once they are DEAD! Ha ha, the little minds and their ignorance about LIFE’s realities. That is cute! With these skills at such a young age, she will most likely be very good with reading and school in general. I hope so, that she continues her love affair with books and reading. Fingers crossed. Thanks so much for commenting.